Get the latest dirt on cleaning. Sign up for our monthly newsletter. How Tough are Tennant Machines? Watch the Tennant VS. videos to see how our machines stack up. Are dirty floors losing you customers? 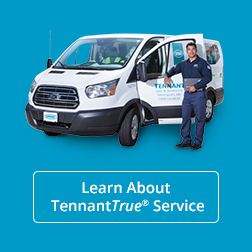 Tennant is bringing robotics to our fleet. Download a manager's guide to efficient, cost-effective facility maintenance. Rely on Tennant’s factory-trained service network to possess the knowledge and expertise to maintain your machine and keep downtime to a minimum. Silica dust poses health and safety and compliance challenges in many work environments. Tennant tools and technologies can play an important role in helping you manage the silica dust challenge as you work toward OSHA compliance. Improving operator efficiency and productivity with NEW lithium-ion battery-powered vacuum options with impressive runtimes. Considering reconditioned cleaning equipment can help you purchase the best cleaning equipment at a price that works with your budget. Watch a video to learn the difference between Certified Pre-Owned, Used and As-Is. Whether you are an employee, investor, customer or supplier, together we will create sustainable cleaning innovations that empower others to create a cleaner, safer, healthier world. Clean virtually all day on a single charge, with the largest available battery capacity in its class and reduce costs with maintenance-free scrub and propel motors. Effective sweeping and scrubbing capabilities help to maintain a consistently clean appearance of your floors. 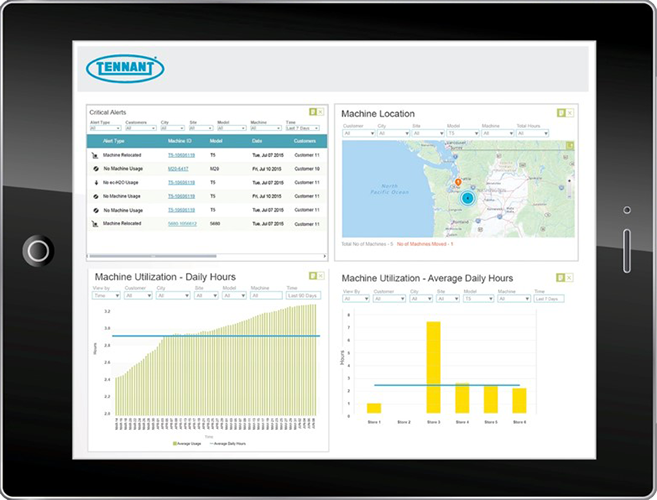 Tennant's products include intuitive controls and maintenance features that help maximize uptime, reduce training time and ease maintenance. 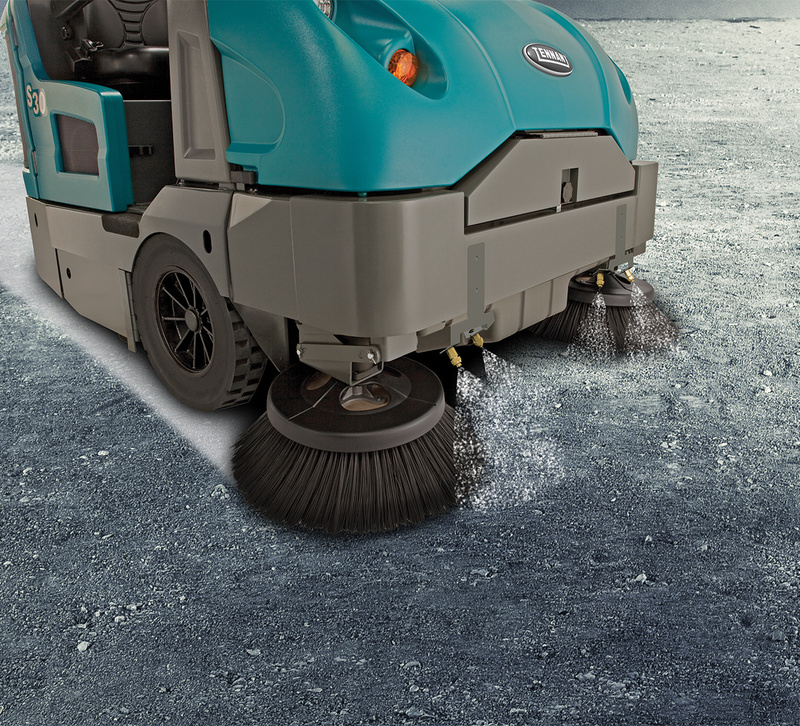 A leading manufacturer of quality floor cleaning machines and technologies, Tennant sweepers and scrubbers provide sustainable solutions that help our customers clean more spaces more effectively. 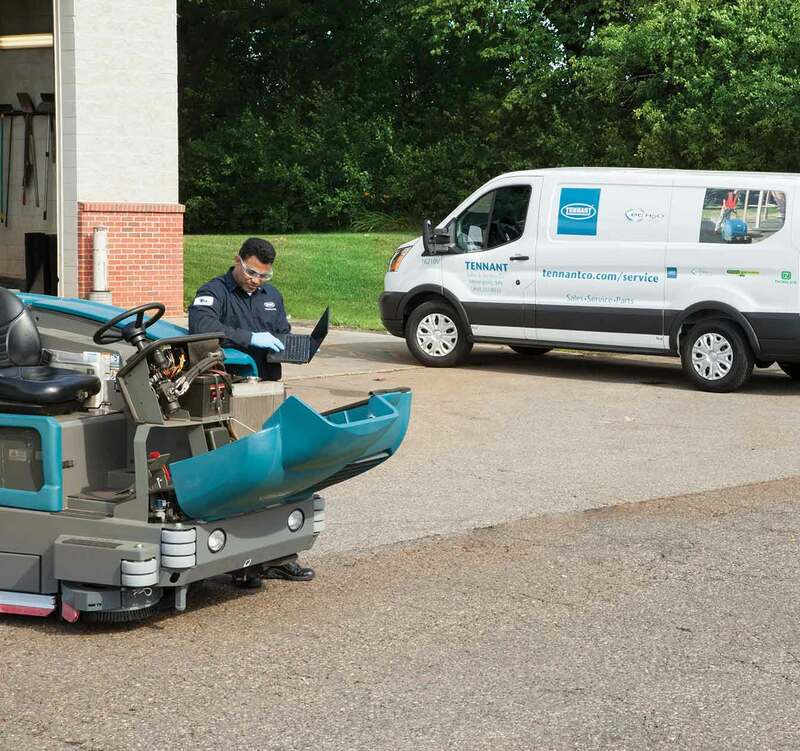 In addition to being equipment innovators, our team members become your trusted advisor for floor care solutions and reliable service. IRIS® Asset Manager technology collects and transmits machine usage activity, empowering you with actionable insights to optimize fleet performance, improve cleaning efficiency and reduce cost-to-clean. New enhancements deliver maintenance spend data and details battery charging metrics to help reduce equipment costs, increase uptime and extend battery life. Choose a total solution for keeping facilities bright and attractive. 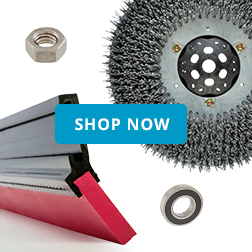 Tennant offers a full range of cleaning equipment and technologies to meet your unique needs.